According to a recent study conducted by the American Psychological Association, stress is on the rise for women. In-fact, women are two thirds more likely to experience stress than their male counterparts. This shocking statistic is contributed to a generation of women dubbed as "the do-it-all" generation. If you are juggling an array of tasks, from raising a family to running a household and maintaining a career, this news likely does not come as a surprise. While you may feel the weight of the world on your shoulders, it is vital to take control your health and well-being. While the child's pose is technically a pose for beginners, its stress-relieving rewards can be reaped by amateur and professional yogis alike. A common resting pose, this position begins by getting on your hands and knees and placing your forehead directly on the yoga mat in front of you. The arms may extend forward or be tucked behind the back while your buttocks rest directly on your heels. 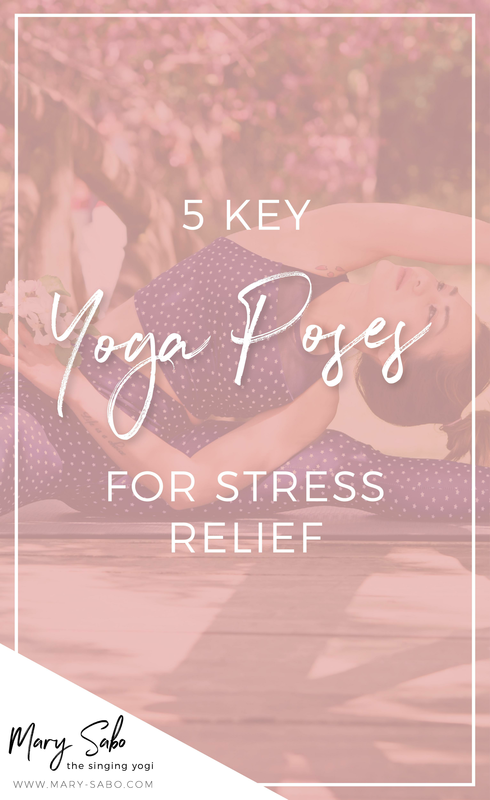 For the pose to be effective, you must completely relax your lower back and allow your stress to melt away for one minute or longer before releasing yourself from the pose. This particular position is beneficial because it allows you to stretch the hips, thighs and ankles while relaxing the upper body and allowing you to calm your brain. The stand forward bend is a position that is fairly easy for most to achieve. Start by standing up straight and then slowly proceed to bend your upper body down until you are able to reach the ground in front of you, or your toes. This pose stretches your hamstrings and with proper breathing, quickly melts away stress with its soothing nature. This yoga pose is highly regarded for its ability to elevate mild depression, anxiety and stress. To execute the position, begin in a sitting position with both of your legs extended in front of you. Bend one leg so that your heel is resting on the thigh of the leg that is still extended. While keeping your back straight, bend forward and attempt to touch your toes on the foot of your fully extended leg. Hold the position for 30 seconds while focusing on your breathing and repeat for maximum stress relief. Legs up the wall is a yoga pose which utilizes: you guessed it, a wall. Get into position by laying vertically in front of a large, uncluttered wall. Proceed to scoot yourself closer to the wall until your buttocks reach the wall and then place your legs in the air so that they are fully extended, yet supported by the wall in front of you. This pose adequately relaxes and opens up the body. Hold the pose for as long as is comfortable, typically between five to 15 minutes. While the corpse pose may sound a bit morbid, it is a pose which aims for total relaxation. 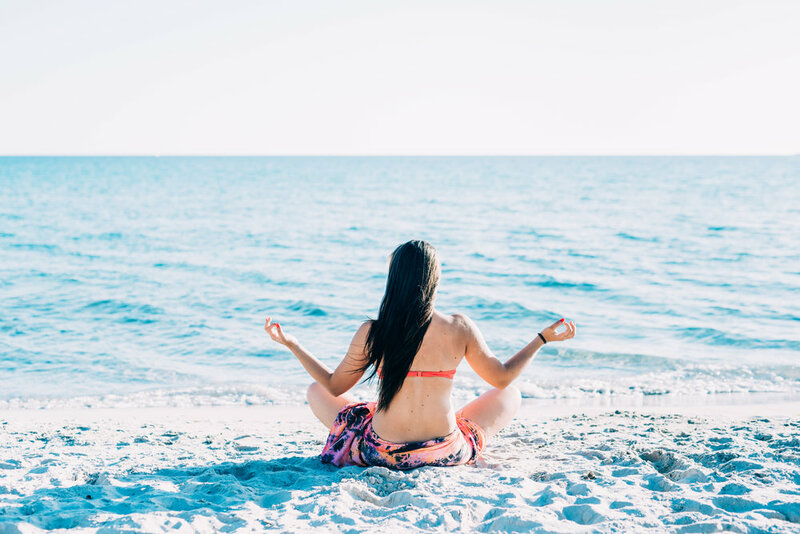 It may be more difficult to achieve this level of relaxation for beginners, but working up to it guarantees a drastic decrease in stress levels. To begin, lie flat on your back with your back flush against the mat. The back should be elongated with the pelvis slightly tilted upwards. Extend both legs straight in front of you and place your arms outwards, with the palms of your hands facing upwards. From there, focus on breathing and opening up your body and relaxation will take over.